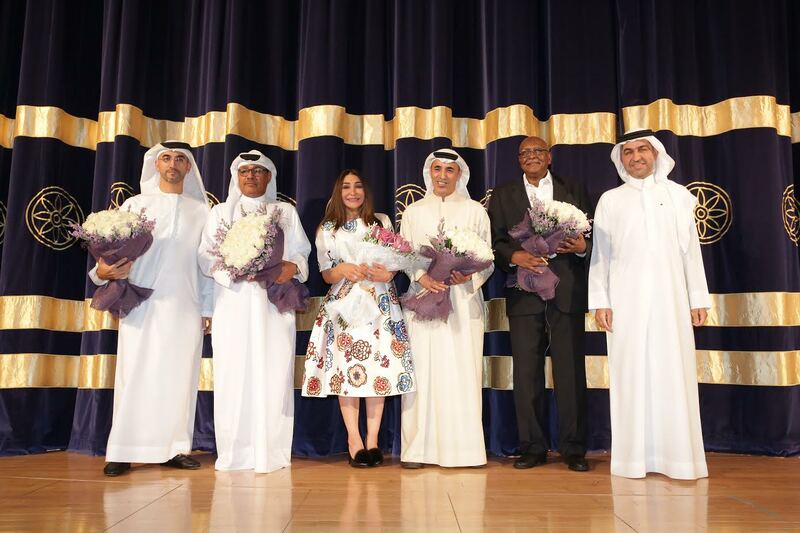 Dubai: United Arab Emirates: Dubai Culture & Arts Authority (Dubai Culture), the Emirate’s dedicated entity for culture, arts and heritage has announced the judging committee for the 10th edition of the Dubai Festival for Youth Theatre. The committee will bring together a number of artistic and academic partners from theatre and cinema, during the Festival that spans 22nd – 31st October 2016. Heading up the judging committee is Qatari actor and theatre personality Ghanem Al Sulaiti, one of the most influential actors in the Gulf. Ghanem is known for his commitment to supporting young theatre performers, providing them with valuable advice and insights. He will be joined by Kuwaiti Actress Ahlam Hassan Shaker, who responded to Dubai Culture’s invitation to participate in the panel and will share her academic and practical experience of the theatre industry. Boosting the judging line-up will be His Excellency Jamal Al Sharif, Chairman, Dubai Film and TV Commission, and Managing Director, Dubai Studio City – a subsidiary of TECOM. His Excellency will offer a senior film industry perspective to the committee. Sudanese artist Al Rashid Ahmed AL Issa, one of the most important figures in Arab theatre, will also form an essential part of the committee. Emirati journalist Jamal Matar will add his broad media and arts insights and share his extensive practical and theoretical experiences. Jamal will also be actively involved in delivering performing arts workshops. The festival will provide a golden opportunity for young performers to test their mettle and propel their careers in the cultural and artistic sector. The event will nurture the development of young talent’s theatrical skills through a series of workshops and theatrical sessions. The best and the brightest participants competing at the event will be honoured, with 16 awards distributed across different categories. The Dubai Culture & Arts Authority (Dubai Culture) was launched on March 8, 2008 by His Highness Sheikh Mohammed bin Rashid Al Maktoum, UAE Vice President and Prime Minister and Ruler of Dubai, in order to drive the growth of the city’s artistic and cultural landscape. The Authority has grown to play a major role in the realisation of the Dubai Plan 2021, to highlight Dubai as a thriving capital for creative industries and further embed the Emirate’s credentials as a city of happy, creative and empowered people. As part of its mandate, Dubai Culture has several initiatives that are focused on strengthening both the historic and modern cultural fabric of Dubai, including Dubai Art Season – the city’s premier umbrella arts initiative which kicks off with Emirates Airline Festival of Literature and encompasses Art Week including Art Dubai, Design Days Dubai, and SIKKA Art Fair, Middle East Film & Comic Con, SIKKA Art Fair – an annual event aimed at promoting Emirati and local artists in the UAE and the wider GCC region, Dubai Festival for Youth Theatre – an annual festival that fosters the art of theatre in the UAE and that is celebrating its 10th anniversary in 2016, and Dubai Next – a dynamic platform that aims to showcase the Emirate’s cultural ethos and its vibrant creative scene on the global stage. The Authority’s other key initiatives include Creatopia – the nation’s first government empowered virtual community that guides and nurtures the creative culture of the nation, and provides a platform of information and opportunities that lead to exposure and personal growth. Dubai Culture also plays a leading role in support of the UAE National Strategy for Reading 2026, in particular by undertaking a major refurbishment of all Dubai Public Library branches to transform them into state-of-art cultural and artistic hubs. Across all of its branches, Dubai Public Library also provides children and young adults with a range of educational and entertaining activities that encourage the use of its facilities. The ‘Our Summer is Filled with Culture & Arts Programme’ is a Dubai Public Library initiative which complements the UAE National Reading Strategy, with its activities open to all age groups, and which revolve around four key themes: happiness, reading, family and the future. The Authority also manages more than 17 heritage sites across the Emirate, and is a key government stakeholder in the development of the Dubai Historical District. As the custodian Authority of Dubai’s museum sector, Dubai Culture will officially launch Etihad Museum in December 2016. The museum will provide a platform to encourage cultural exchange and to connect Emirati youth with their culture and history. As part of the Authority’s mandate to support Dubai’s vision of becoming the focal point of diverse cultural exchange (regionally & globally), all of its museums will provide a catalyst to preserve Emirati Heritage.